The 1970 Chevy Nova SS came with a 350CID, 300 hp V-8, with your choice of four-on-the-floor, or GM’s Turbo-Hydramatic or Powerglide automatics. 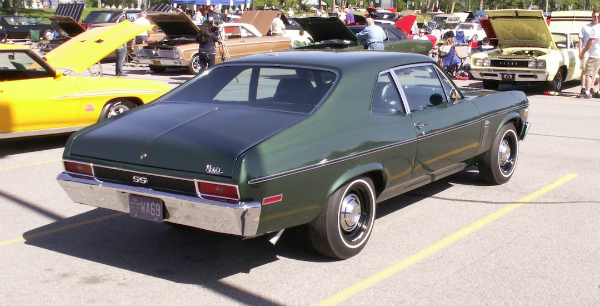 This one looks pretty basic, but the Nova SS could be tarted-up with a vinyl top, pinstripes, extra chrome side trim, and fancier wheels/wheel covers. All of course, optional at extra cost. Seen a couple of summers ago at an Antique Automobile Club of America car show at UB’s north campus. Jim Corbran, RRofWNY …and check out our Facebook page: Non-American Classic Cars The post RealRides of WNY appeared first on Buffalo Cars.